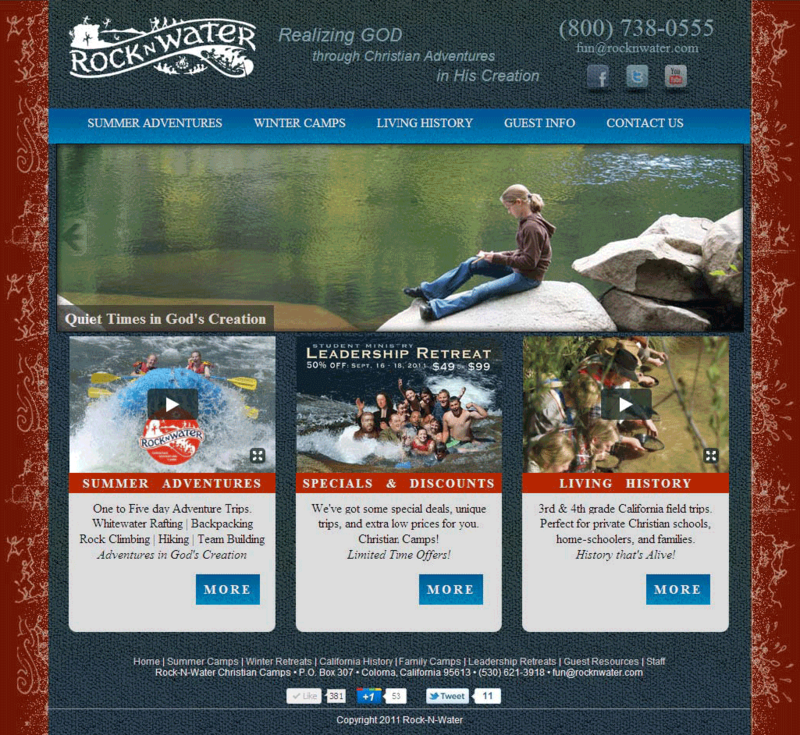 Rock-N-Water was founded by two Christian couples with a passion to help youth experience God through adventures in the outdoors. The first year of trips are run out of a public campground (Camp Lotus) and begin with offerings of Backpacking Trips, Outdoor Rock Climbing, and White Water Rafting including Class III River Rafting Trips and Class IV Rafting Trips. The Bacchi Family (descendants of gold rush pioneers from Switzerland) allow us use of what is arguably the best riverside property on the South Fork of the American River. 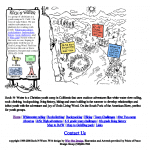 Overnight Gold Rush living history field trips are introduced for California 4th Grade students, with the introduction of 49er Fun – California Gold Rush Field Trips. Ladybug Canyon becomes our first Explore-A-Canyon canyoneering location – enabling expanded creek hiking opportunities that immerse groups in the middle of God’s beautiful creation. Our first website is born. Introduction of team building training – Team Challenge. With the closure of a neighboring rafting company we almost double the size of our usable camp space. Electricity is brought into camp enabling the addition of a walk in refrigerator by the end of the summer, lighting in the kitchen, and dial-up internet access from the camps office (at a blazing 28 kbps). Prior to 2001 – The in-camp office operated a laptop off of a solar charged car battery, and required a 10 minute drive down the road when needing to print documents. The Kitchen ran off of a propane powered refrigerator combined with twice a day ice runs, and daily shopping trips. California power crisis (Enron scandal related) resulted in only 5 days of boat-able weekday flows throughout the summer. The addition of a fleet of inflatable kayaks (funyaks) enables Rock-N-Water to continue providing whitewater trips in spite of the very low water flows, and add the opportunity for Yakity Yak inflatable kayaking trips at regular flows. Groups embrace the non-rafting adventures as they get to experience Rock Climbing, Explore-A-Canyon, and Team Challenge trips in place of doing multiple days of rafting. We switch over to our very own water well – no more sharing water from a single well with 4-5 rafting companies. Sometimes the water pressure used to drop to a trickle or even completely disappear as everyone started afternoon dinner preparations. Our website gets some small updates. While our primary focus remains on groups, we begin offering teen summer camps for individuals that don’t have a youth group to come up with. Superman Canyon and Bear Canyon are added to our Explore-A-Canyon locations enabling groups to experience two or three days of Canyoneering, or to experience a different canyon each year. 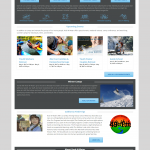 We roll out an improved website. After 18 years of offering only a one night 49er Fun program, we begin offering a two night 49er Fun trip (The Double Jack) to rave reviews from kids, parents, and teachers that were always super sad to leave after only 26 hours. Walk on Water winter snow shoe retreats begin offering groups the ability to experience Rock-N-Water adventures in the snow covered Sierra Nevada mountains. The camp office finally gets “high speed” internet. It took nearly a year of phone calls, emails, and failed attempts with 8 separate companies and products, before we finally found one that was able to deliver. So how do we get our internet? We get it from a tree. Introduction of 3rd Grade California Native American living history field trips with Maidu Discovery in the Fall and Spring months. Brand new bathrooms and a new second septic system open up at the start of summer of 2009, making waiting in line a thing of the past. Eagle Canyon becomes our 4th Explore-A-Canyon location, further expanding canyoneering opportunities, and spreading out groups to further improve the quality and capacity for Explore-A-Canyon trips. With California State Park budgets stretched to the breaking point, James Marshall State Historic Park reduces capacities necessitating a 49er Fun trip that does not visit the State Park. What started as a back-up plan quickly evolves into such a powerful trip layout that many teachers request The Prospector as their preferred option over the original Mother Lode. We gain access to some land just down to road to provide a more isolated camping experience for groups wanting to get away from it all at The Cove. Our website gets a full makeover. At the end of our main summer season, The King Fire started on September 13, 2014. While our main camp was never in danger, the fire would go on to burn over 97,000 acres including the location of our Ladybug Canyon Hikes. Due to concerns of landslides and falling trees, we would not be able to return to Ladybug Canyon until the summer of 2016. Yep, it’s time for another full website makeover. 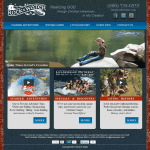 Youth Pastors and campers alike love our canyoneering river exploration trips. So we added a 5th Canyoneering location, Evergreen Canyon. This was a blessing of a Godsend as the King Fire from Sept 2014 prevented us from taking groups to Ladybug Canyon. We also started offering full day canyoneering trips at our Rock Climbing location Billygoat Canyon. While we have “always” done half-day canyoneering/bouldering trips in that canyon as a part of our Rock Climbing trips, this full day excursion lets us explore far more of this beautiful and unique river canyon than we ever have before. A small grass fire, The Adventure Fire, burned 100 acres surrounding our secondary location “The Cove at Rock-N-Water”. But thanks to the very quick response of emergency workers, the fire was quickly contained and did not damage any structures. Campers were never affected, but it kept our office staff on their toes for a tense hour as the fire burned too close for comfort. We were able to return to Ladybug Canyon for our Canyoneering trips. 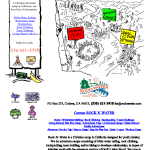 Ladybug Canyon had been closed to us since September of 2014 when the King Fire burned the area leaving it’s steep canyon walls susceptible to erosion and landslides. With great praise to the measures taken by work crews after the fire, there were no significant landslides and the area is quickly recovering. The hike in is now cast in the silhouette of charred trees, but with a dense underbrush quickly returning. And once we get down along the river, the damage from the fire is hardly felt. 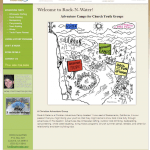 We also greatly expanded our organized camps, retreats and events for Individuals and Families. 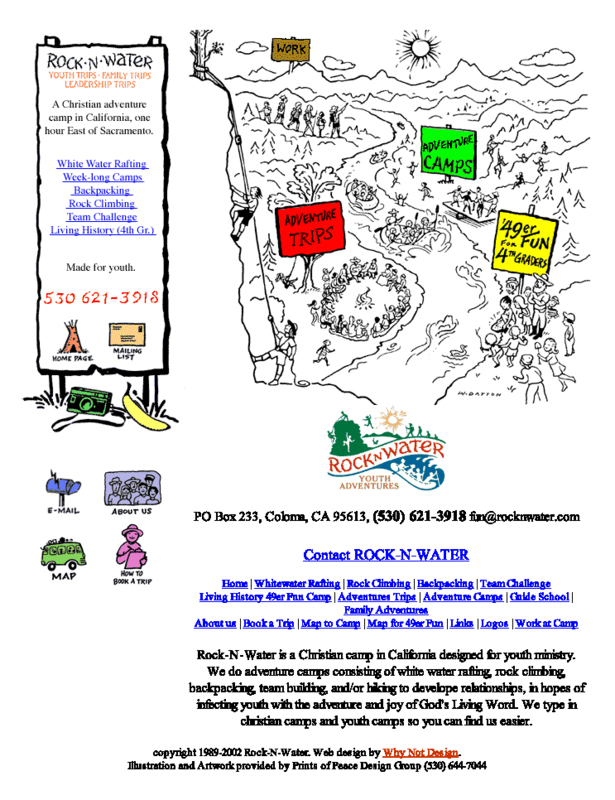 Offering multiple week long camps for individual teens, and weekend retreats for families and couples. As well as starting to offer training trips designed to get your team ready for a mission trip. And Ladybug Canyon is off the table again. Two different sections of the road to the canyon washed out completely blocking access to the canyon. This is the result of the 2014 King fire damaging the soil and reducing foliage on the steep canyon walls leading to the canyon, combined with heavy rains in the Winter/Spring of 2017. The roads will likely be out through the summer of 2018. 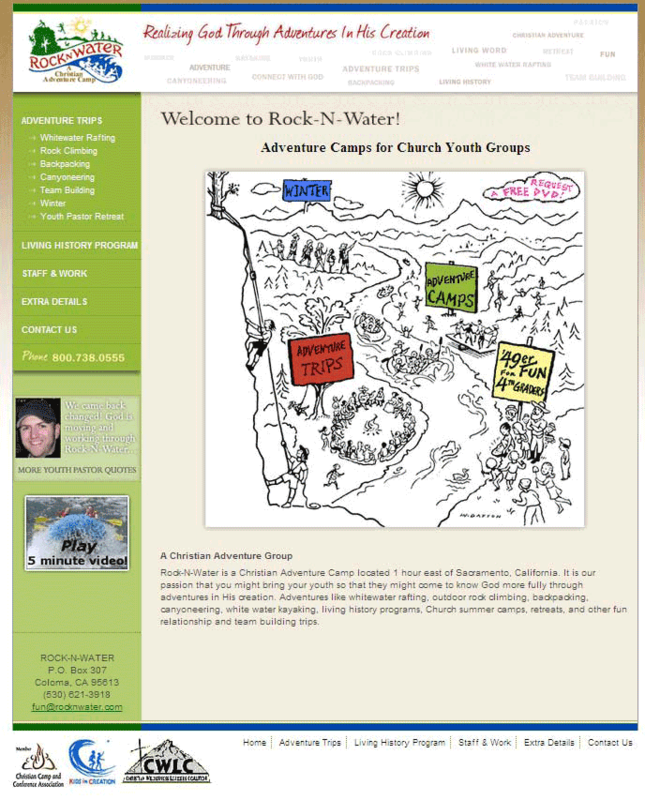 As always, thank you for your continued prayers for Rock-N-Water: The Campers – The Staff – The Ministry. Please contact us if you have any questions, we’d love to get to know you better.